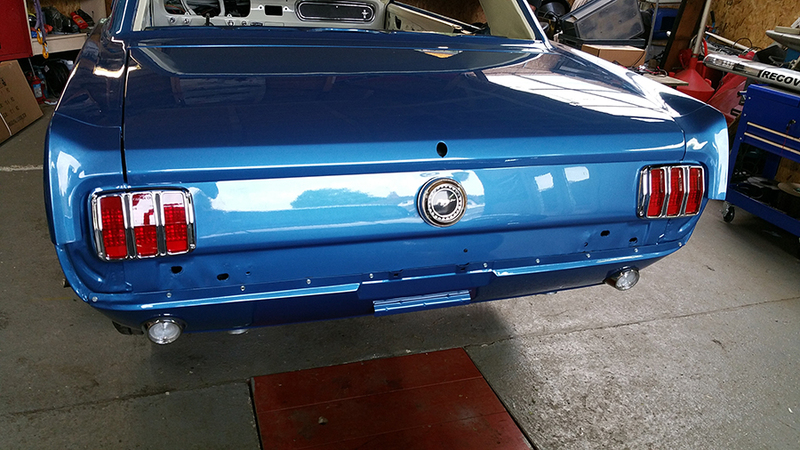 During the shortened week after the bank holiday Mustang Maniac was calling to me in my thoughts. I just wanted to get down to the workshop and get going on my car. Not sure what was going to be done, but it couldn’t be much more mechanical stuff. The yard was in a bit of chaos as the cars and trucks from the Enfield Pageant were all over the place and being moved around. I had a conversation with Adam and we decided that the weekends work was going to be lights! I didn’t have my headlight bowls with me so it was now going to be a case of rear lights and side lights. I had to make a decision what I wanted, that was an easy one – LED’s. Then it started to get a little more complicated with front lights how I wanted it to look. To be honest I hadn’t paid that much attention to that part yet as I thought it was a way off yet. So Adam showed me the options and the differences and the choices were made. That all means that pretty functional bits are going on the car! I was loaded up with parts and variations there of. I excitedly took them to the workshop. First up was the front park lights, the fitting had a default orange lens in place but I wanted the cleaner look of white lights as the orange would clash with the blue. The park lights are also the indicator lights so I needed orange there. This is where Adams LED bulbs come into play. They are the same fittings and screw straight into the housing. The clear lenses also have the “FoMoCo” logo, the pink arrow in the side by side comparison pic below shows the logo. Adam tells me that he has lost count of the number of people who fit them upside down! The indicator part of the bulbs has the orange LED’s the drive lights are clear white. Problem solved there then. Before we started I got out my new gadget that I had seen the guys use before. Power Probe, this is an electrical tool that allows you to check connections and positive or negative activate a part to work. In other words you connect the earth and power to the probe and press a switch and touch the item which then comes alive. We installed the bulb and tested them out with the probe before fitting it. So far so good. The housings have the gaskets inside for the lens to bite onto. I have just rested the lens of the orange one in place to get a comparison. Yes there will be people saying it’s not correct etc. But, I want the clean look so that is what I am going to put on. The wires were bound up with the wire loom tape then the rubber gasket was fitted. Each of the lights will only fit left or right hand side correctly. The same goes for the gaskets that have to be located in place with a cut out. The wires slip through the front valance and are threaded up to the main headlight area. the back of the fitting has a semi circular bracket held in place by two screws. Repeat for the other side in exactly the same way. The rear back up lamps are almost identical to fit together. This time I was going to use the ordinary tungsten bulbs as the amount of time they will be on is not worth the upgrade, I could at a later date if I wanted to of course. The only difference here is that instead of a semi circular bracket these fittings are domed washers that move around to locate the best angle to the rear valance. This will then be tightened up with as small socket as you did for the front. The drive and brake lights are little bit more involved. The reflector is an insert from the outside sitting on a gasket. 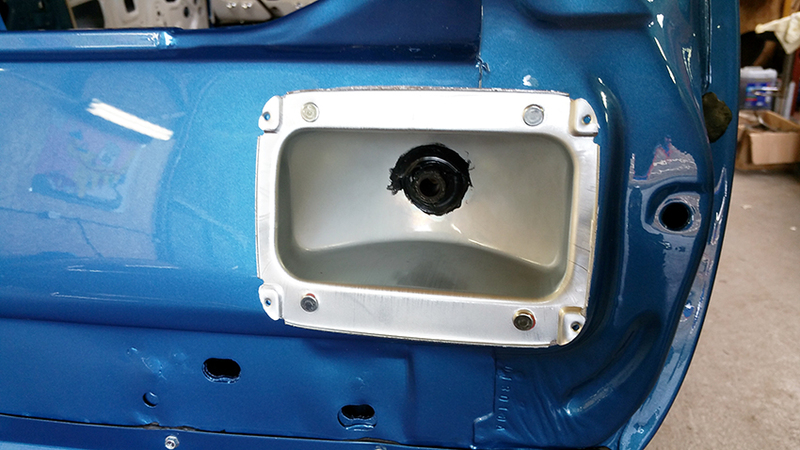 The reflector housing is bolted to the back via four bolts and a pronged rear light washer to hold it in place. ordinarily the bulb just presses in and it’s a job done. But as I am having LED’s the board site on the outside of the reflector rendering that part obsolete. To make the fitting of the lights easier the rear fender end caps were removed and the gaskets replaced. Hands up how many people knew there was a gasket between the two? Not me I didn’t know, there is supposed to be a gap between them and not pulled up dead tight. A custom-made grommet was fitted in the centre of the reflector along with a sealing mastic to stop the damp getting to the LED board. If you notice in each of the corners a tine screw is put through the bezel and only tightens a couple of turns which stops a fraction short of the paint work. But over the years the tiny screws got lost a larger self tapper screws were just wound through the rear panel. The Power Probe was out again and the lights were tested before the final fitting. I have an impromptu video of the event that I will place on YouTube as soon as I get round to editing it. The boards all worked fine. There is a modification that needs to be made in order to make the LED’s work. An extra wire from the brake switch has to be routed to the back of the car so there are four wires and not just two or three. I haven’t soldered the switch wire yet, I suspect that will be next week. To fit the LED board in place, a thin gasket layer applied to the back to hold it in place on the housing. A foam gasket seal is placed on the board front, the lens is fitted into the bezel and tightened up to housing, this is a bit of a tricky operation. Did I mention these are the posh “FoMoCo” logo lenses. I think I wiped Adam out of his stock of them now. Don’t worry he has more on order if you wanted some. 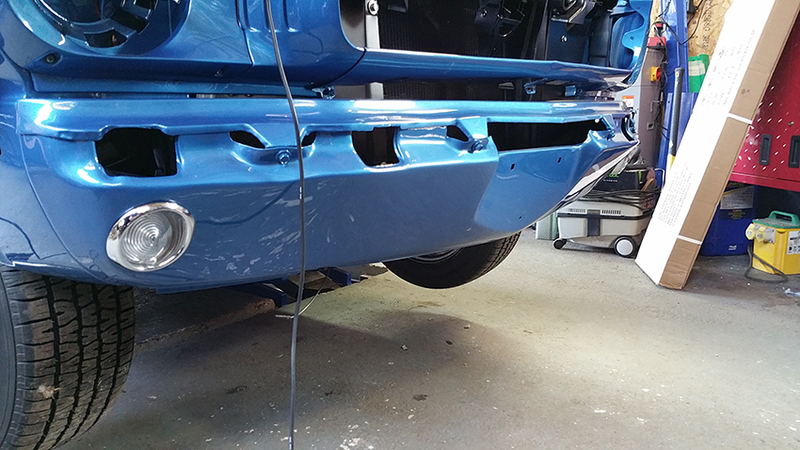 Both sides fitted and it now looks like a part finished car. 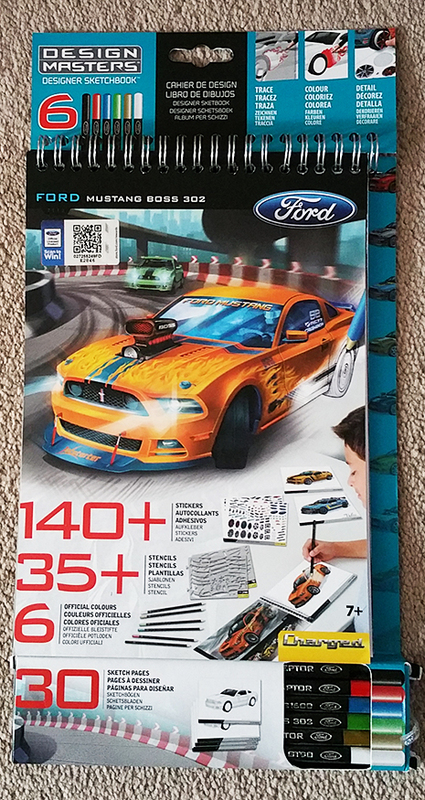 This entry was posted in General and tagged bezel, bulbs, FoMoCo, gasket, LED, Mustang, Mustang Maniac, One man and his Mustang, paint, Power Probe. Bookmark the permalink.